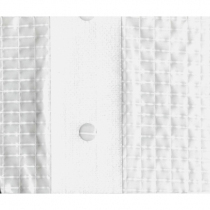 Made from a three ply composition, the Monarflex Sheeting- Super T Plus Fire Smart range has two outer layers being made from a special highly weather resistant co-polymer LDPE with special flame retarders that encapsulate a super strong polyester high tenacity grid, which forms the weather protection. 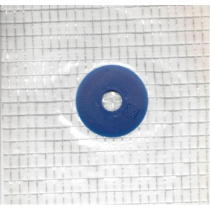 Patented rubber fixing eyelets allow the sheeting to fit to virtually any type of scaffold. 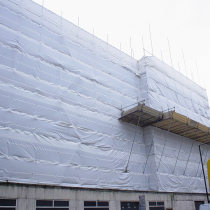 Monarflex Sheeting- Super T Plus Fire Smart holds a LPS 1215 and 1207 certificate, meaning it’s tested and approved to prevent the spread of fire on scaffold for internal and external use. Suitable for internal and external use. 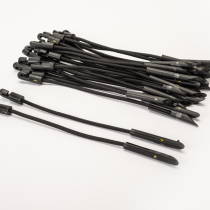 Approved to LPS 1207 (internal) and LPS 1215 (external). Patented eyelet design has unbeatable resistance to pull-out for maximum security and, unless they are used, eyelets remain sealed, preventing penetration by wind and rain. Unique high performance Anchor & Strap fixing system resists wind induced stresses in all directions while remaining flexible enough to protect the sheeting from destructive strain. Enhances security for workers on scaffold. Serves as a climate shield to protect workers, machinery and open constructions against rain, wind and snow. Ensures stable working climate on scaffold, to allow deadlines to be respected regardless of the weather. Protects surroundings from the by-products of work performed on scaffold – e.g. building dust, sandblasting, water jetting.